Understanding and trusting models and their results is a hallmark of good science. 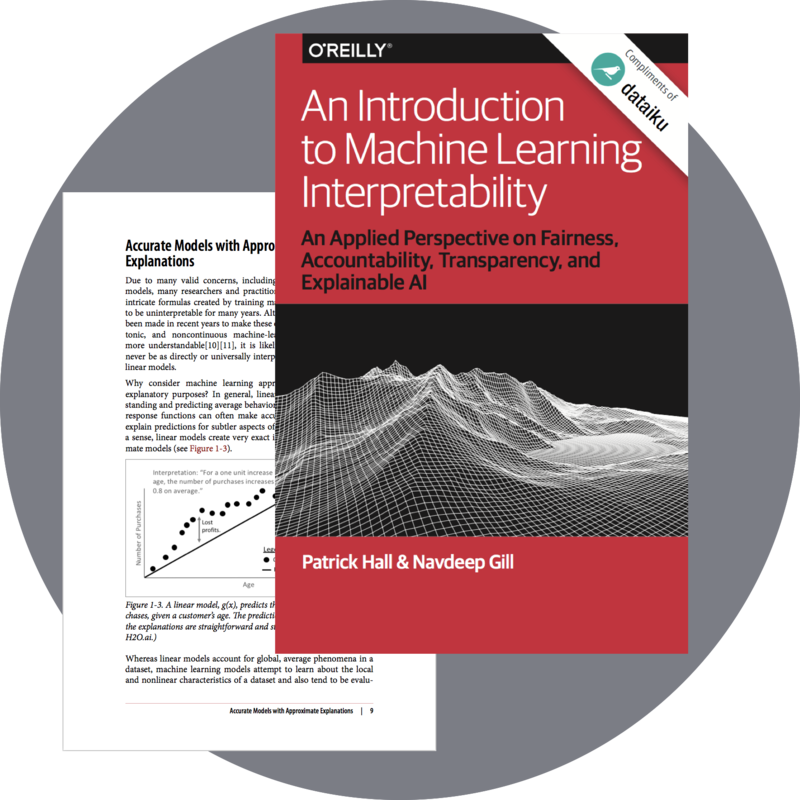 Get the ebook from O'Reilly to get an applied perspective on how this applies to machine learning, including fairness, accountability, transparency, and explainable AI. Today, what makes machine learning (ML) models accurate is often what makes their predictions difficult to understand: they are very complex - this is a fundamental trade-off. Unfortunately, more accuracy almost always comes at the expense of interpretability, and interpretability is crucial for business adoption, model documentation, regulatory oversight, and human acceptance and trust. O’Reilly begins to shed some light on this dichotomy with An Introduction to Machine Learning Interpretability: An Applied Perspective on Fairness, Accountability, Transparency, and Explainable AI.